FenwayNation—Red Sox, Mookie, J.D., Bogaerts, Sale, JBJ—Founded 1/27/2000—9-Time Champs: Should The Red Sox Snare Free-Agent C Wilson Ramos To Stabilize Position? Should The Red Sox Snare Free-Agent C Wilson Ramos To Stabilize Position? Currently, the Red Sox have three active catchers—Sandy Leon, Christian Vazquez and Blake Swihart. Today, Alex Cora indicated that all three may be on the post-season roster. While Leon has become an elite defender, his offense has regressed to sub-Mendoza levels. And, neither Vazquez nor Swihart have fulfilled their earlier high expectations. So, what should the Red Sox do in 2019? 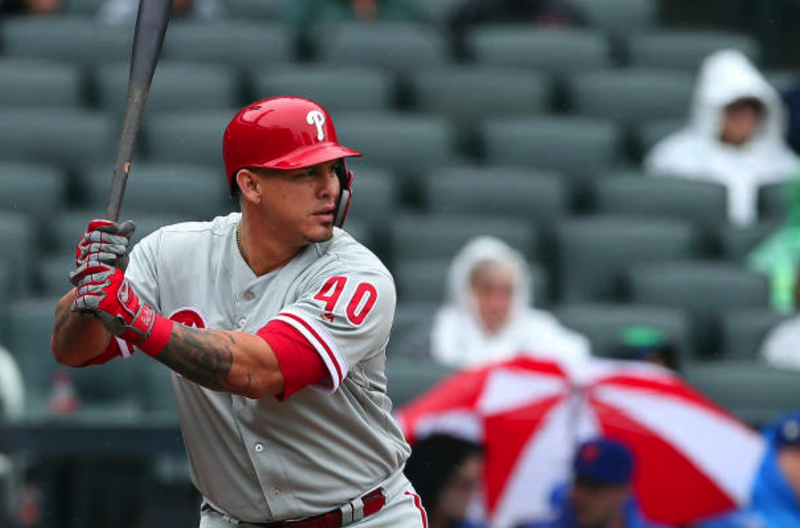 One intriguing possibility is free-agent Phillies backstop Wilson Ramos. Just 31-years-old, Ramos came into his own with the Washington Nationals in 2016—hitting .307, with 22 HRs and 80 RBIs. He signed with the Tampa Bay Rays as a free agent, and was then traded this season to the Phillies at the deadline. His combined 2018 stats so far are: .315, 15 HRs, 68 RBIs. In addition to his offensive skills, Ramos is a top-notch defender—particularly with regard to his handling of a pitching staff and pitch framing. Over his career, he's also thrown out 32% of would-be base-stealers—compared with the 28% MLB average and Leon's 37% career numbers. While Leon is two years younger, Ramos can contribute on both offense and defense. It might be something for Boston to consider in the off-season.